In order to fulfill the ever rising requisites and demands of our customers, we are engaged in providing highly reliable services for Diesel Generator Set Erection Services. Because of their flexibility, timeliness, reliability and exactness, these services are immensely demanded and recommended all over the country. As well, our ability to customize these as per the detailed desires of our clients has gifted us massive appreciation in this country. 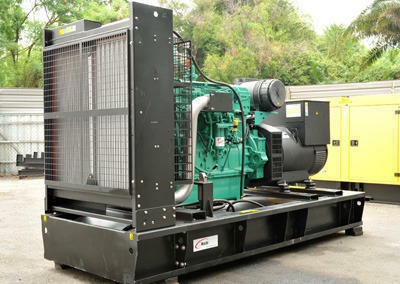 We, Sankrik Engineers Inc., are one of the glorious wholesalers, distributors, suppliers, traders and service providers of Diesel Generator Set, Cummins Automotive Batteries, Diesel Genset Generator, AMF Control Panel, Flameproof Electrical Fittings, Diesel Generator Set Installation, Diesel Generator Set AMC Services and Diesel Generator Set Erection Services. These products are cherished for their durability, rugged structure, re-usability, ease of use and low maintenance. Our products are made at sophisticated manufacturing unit which is settled with quality tested tools and machines. In addition, our vendor has appointed a team of accomplished and capable professionals, who are well-informed in their relevant fields and try hard to complete all the clients’ demands, within prearranged time period. Furthermore, to keep the quality, our vendor has chosen quality team who check these products on varied industry norms. These services are completed by expert’s team who has rich industry skill and experience.